On the corner of Kuykendahl Rd. and Creekside Green Dr.
Covenant’s new facility was designed with you in mind. We can’t wait to welcome you home. In the winter of 2016, Covenant randomly surveyed members of the local community. We wanted to tap into the wants, needs, and creative ideas of our neighbors in terms of both our future facility and the desired programming. Results revealed a strong desire for community activities, with a high priority placed on children’s, youth, and communal spaces. In addition, the people of Creekside expressed the hope that Covenant’s building would be clearly identifiable as a church. The community response has shaped Covenant’s planning process from the start. We have created multi-functional spaces designed for maximum community use. With an iconic cross tower, the craftsman-style architecture will beautify Creekside’s skyline and leave no doubt that Covenant is a church in the heart of the community. From the beginning, Covenant has been about building a community connecting in Christ … [this facility] celebrates that commitment being made permanent. We are in the community for the community. Jr. high and high school student area with room for large group gatherings, breakout space for small groups, and an oversized craftsman-style porch extending to the lawn. A variety of open space and break-out rooms available for adult classes and community groups. Pastor Jason walks us through the Covenant Methodist Commons. This is a space designed to encourage relationships. No matter what brings you to Covenant, no matter your age, no matter what language you speak, you will find yourself in the Commons, a place created to help you connect with others. We can’t wait to welcome all the kiddos into our new CovKids Ministry and weekday preschool area! This space lovingly titled The Cove (See what we did there? COVEnant?) A cove by definition is a sheltered nook. And that’s exactly what we want our Cove to be… a safe place for kids to learn, explore, and discover who they are in Christ. As kids age-up to Junior high and high school, they’re ready to leave the shelter of The Cove and reach for The Summit. By definition, the summit is the “highest point; the top; the apex.” Teenagers are ready to push beyond their comfort zone to grow into the men and women God desires them to be. Our youth programming will expand with our new facility making sure that loving adults can encourage and guide our youth through this challenging life-stage. This is going to be such an awesome space to welcome in Jr. high and high school students! We have big plans for fostering real connections among our youth and helping them to grow stronger in their faith. Welcome to our future worship space! Our sanctuary space is a dedicated worship area that incorporates beautiful modern features alongside classic elements. We can’t wait to welcome you here starting Easter Sunday. Our regular worship times are: 10a (English) & 11:30a (Spanish). In addition to worship seating, this room can also accommodate round tables for gala and special event seating. 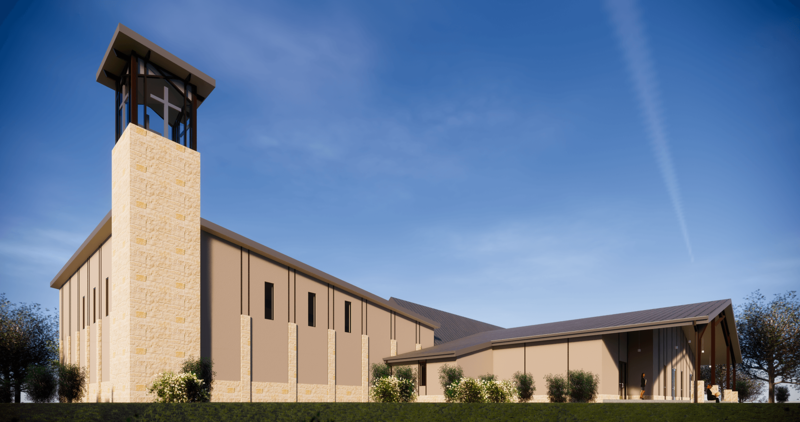 Our leadership has been diligently designing programming to respond to the church and surrounding community’s wishes and ensure maximum use of our new facility. Many of our current programs are being expanded and new programs are being added so that Covenant can fulfill its vision of being a community hub, connecting people in relationships grounded in Christ. Some highlights include additional adult small-groups (Connection Groups), three distinct Sunday worship services (including Spanish worship), expanded youth and children’s’ programs, scouting, preschool/childcare, and opportunities to welcome outside community groups into the building. We look forward to the many things God has planned for Covenant in this community. We can’t wait to call Creekside home. If you would like information on our plans for weekday Preschool/Childcare, please complete the form below and we’ll get back with you shortly.